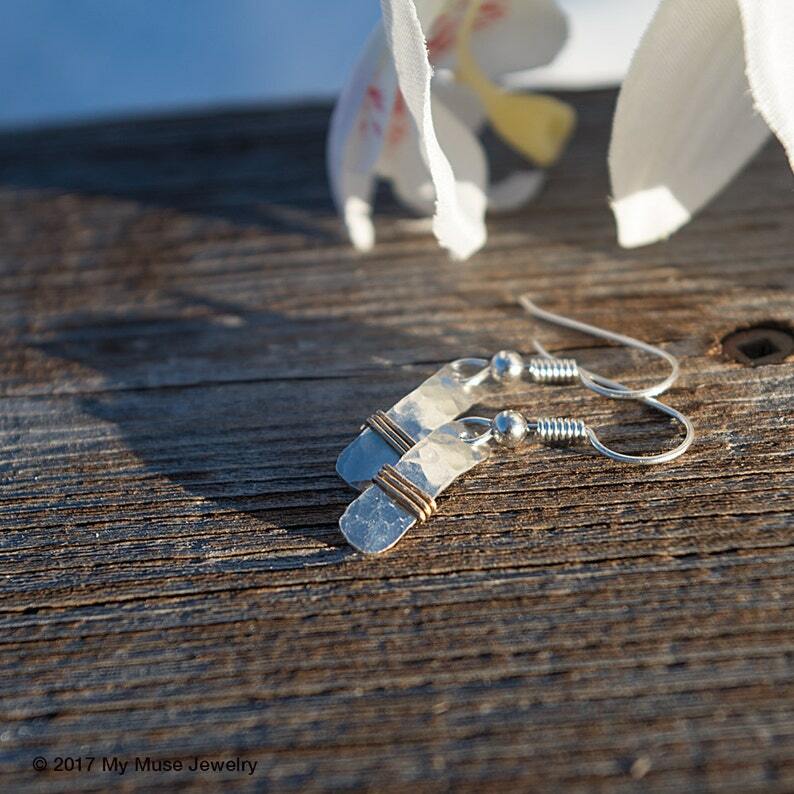 These earrings measure approximately 1 1/4" long (including ear wire) by 3/16" wide and are made of 24 gauge sterling silver. 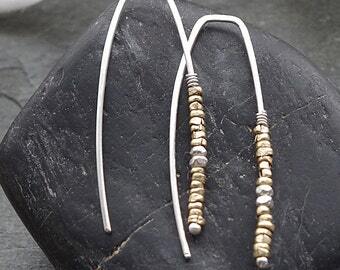 These SMALL silver earrings are lightweight hammered sterling silver with a 14k gold fill wire accent. They are very simple and go with everything. 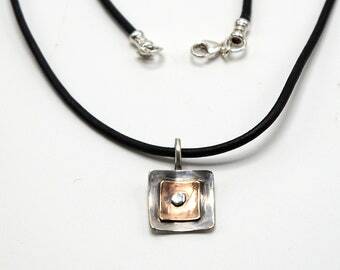 I added a slight curve to these which makes the metal reflect the light. Wrapped gold fill wire is added to the bottom to give a nice mixed metal look. 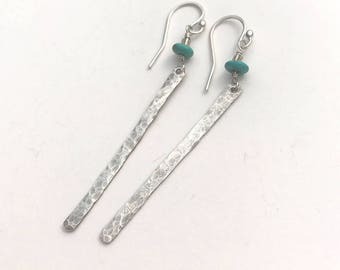 They are SMALL earrings measuring 5/8" long without the ear wire, approximately 1 1/4" total with the sterling silver ear wire. 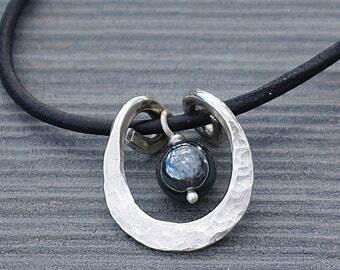 The width of the earring is approximately 1/4". Each pair are handmade to order and will vary slightly from the pictures above. 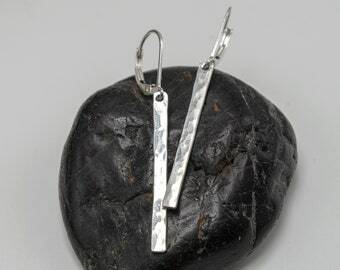 In stock sterling silver ear wires may vary from pictures. 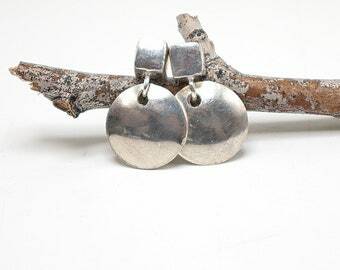 Very affordable and versatile earrings. So pretty & delicate .. My friend loved them ! 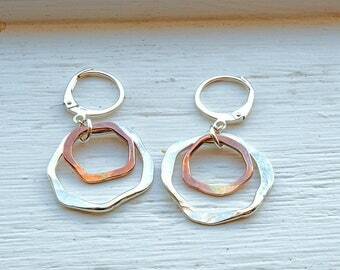 These are very nice earrings. More of a smaller length to give some movement and glitter without being a long earring. Much tinier than I realized but pretty. Will give as gift cos not for me.